The provisions of the Rhode Island statutes that permit the filing of mechanics liens and materialman's liens on construction projects can be found in Rhode Island's Mechanics' Lien Law, Gen. Laws 1956 § 34-28-1 et. seq. The full text of the Rhode Island Construction Lien Law is provided below, and has been updated as of 2011. 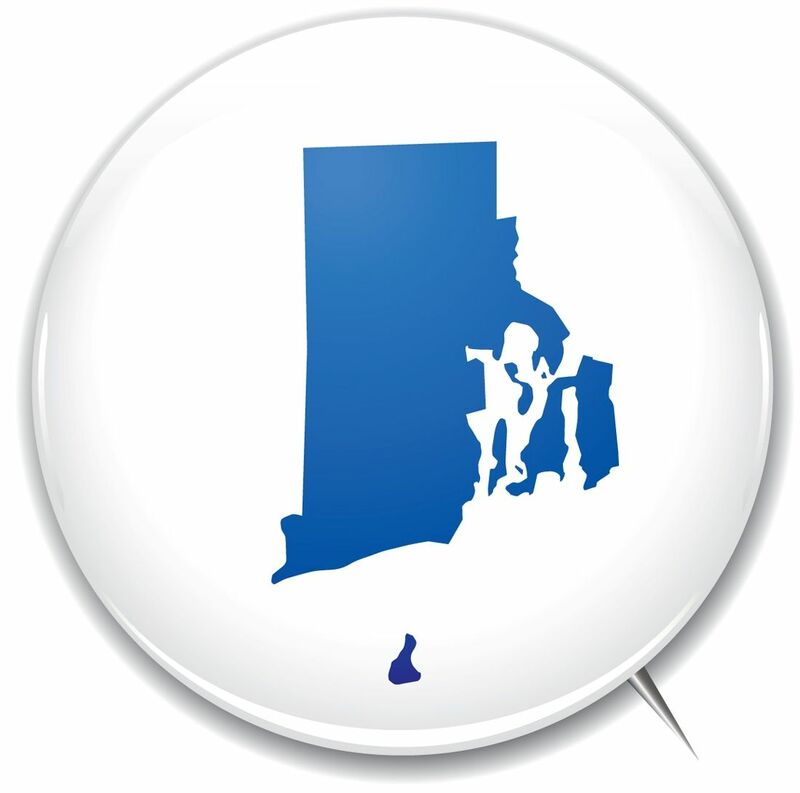 To see a quick synopsis of the most important provisions, take a look at our Rhode Island Frequently Asked Questions page. (a) Whenever any building, canal, turnpike, railroad, or other improvement shall be constructed, erected, altered, or repaired by oral or written contract with or at the oral or written request of the owner, the owner being at the time the owner of the land on which the improvement is located, or by the husband of such owner with the consent of his wife, the building, canal, turnpike, railroad, or other improvement, together with the land, is hereby made liable and shall stand subject to liens for all the work done by any person in the construction, erection, alteration, or reparation of such building, canal, turnpike, railroad, or other improvement, and for the materials used in the construction, erection, alteration, or reparation thereof, which have been furnished by any person. (b) A covenant, promise, agreement of understanding in, or in connection with or collateral to, a contract or agreement relative to the construction, alteration, repair, or maintenance of a building, structure, appurtenance and appliance, including moving, demolition and excavating connected therewith, purporting to bar the filing of a notice of intention or the taking of any steps to enforce a lien as set forth in this chapter is against public policy and is void and unenforceable. This section shall not preclude a requirement for a written waiver of the right to file a mechanic’s lien executed and delivered by a contractor, subcontractor, material supplier, or laborer simultaneously with or after payment for the labor performed or the materials furnished has been made to such contractor, subcontractor, material supplier, or laborer. Whenever any building, canal, turnpike, railroad, or other improvement shall be constructed, erected, altered, or repaired by oral or written contract with or at the oral or written request of any lessee or tenant thereof, or by the husband of the lessee or tenant with the consent of his wife, the interest and title of the lessee or tenant in the building, canal, turnpike, railroad, or other improvement, and in the land on which the improvement is located, shall stand subject to liens for all the work done by any person in the construction, erection, alteration, or reparation of the building, canal, turnpike, railroad or other improvement, and for the materials used in the construction, erection, alteration, or reparation thereof, which have been furnished by any person, but not the interest or title of the landlord of such lessee or tenant, unless the consent in writing of the landlord is first obtained, assenting to the construction, erection, alteration, or reparation. Whenever any building, canal, turnpike, railroad, or other improvement shall be constructed, erected, altered, or repaired by oral or written contract with or at the oral or written request of the owner, the owner being at the time less than sole owner of the fee simply (including, without restricting the foregoing, a life tenant, tenant in common, joint tenant and tenant by entirety), or by the husband of the owner with the consent of his wife (and, in the case of a tenant by entirety, no lien shall be had either against the husband’s or the wife’s interest in the improvement unless the consent is given), the building, canal, turnpike, railroad, or other improvement, together with the title and interest of the owner in the land on which the improvement is located, shall stand subject to liens for all the work done by any person in the construction, erection, alteration, or reparation of such building, canal, turnpike, railroad, or other improvement, and for the materials used in the construction, erection, or reparation thereof, which have been furnished by any person, but not the interest or title of any other owner of an estate in such land, unless the consent in writing of the other owner is first obtained, assenting to the construction, erection, alteration, or reparation. Click Here to File a Rhode Island Document. In addition to any meaning given through judicial interpretation or context, the term “material” or “materials”, when used in this chapter shall also include the rental or lease of any equipment. (a) Except as provided in § 34-28-7, any and all liens claimed or that could be claimed under §§ 34-28-1, 34-28-2 or 34-28-3 shall be void and wholly lost to any person claiming under those sections unless the person shall, before or within two hundred (200) days after the doing of such work or the furnishing of such materials, mail by prepaid registered or certified mail, in either case return receipt requested, a notice of intention, hereinafter described, to do work or furnish material, or both, together with a statement that the person so mailing may within two hundred (200) days after the doing of the work or the furnishing of the materials, file a copy of such notice of intention in the records of land evidence in the city or town in which the land generally described in such notice of intention is located and a further statement that the mailing of the notice of intention and the filing of the copy will perfect a lien of the person so mailing against the land under and subject to the provisions of this chapter, to the owner of record of the land at the time of the mailing, or, in the case of a lien against the interest of any lessee or tenant, to the lessee or tenant, the mailing to be addressed to the last known residence or place of business of the owner or lessee or tenant, but if no residence or place of business is known or ascertainable by the person making the mailing by inquiry of the person with whom the person making the mailing is directly dealing or otherwise, then the mailing under this section shall be to the address of the land, and also shall before or within two hundred (200) days after the doing of the work or the furnishing of the materials file a copy of the notice of intention in the records of land evidence in the city or town in which the land generally described in the notice of lien is located. The mailing of the notice of intention and the filing of the copy in the land evidence records together with the mailing of another copy thereof as hereinbelow provided shall perfect, subject to other sections of this chapter, the lien of the person so mailing and filing as to work done or materials furnished by the person during the two hundred (200) days prior to the filing and thereafter, but not as to work done or materials furnished by the person before the two hundred (200) days prior to the filing, any lien for which shall be void and wholly lost. In the event that the notice of intention, having been mailed, shall be returned to the person mailing the notice, not having been delivered for any reason, the lien of the person so mailing shall be void and wholly lost, notwithstanding any other provision of this section, unless such person shall, within thirty (30) days after the return of the notice of intention, and in no event more than two hundred (200) days after the mailing of the notice, file the notice together with the envelope in which the notice was returned, in the place and manner and with the consequences hereinbefore provided for the filing of a copy of the notice of intention, and the filing shall be in lieu of any filing required at any other time under this section. (5) The name and address of the person mailing the notice and the name of the individual person or persons whose signature will bind the person so mailing on all matters pertaining to the notice or any lien claimed thereunder, or release thereof. (6) A statement that the person mailing the notice has not been paid for the work done or materials furnished or both. No person contracting directly with either the owner of the land, lessee, or tenant of the land, or owner of less than the fee simple, other than material suppliers, as those terms are referred to in §§ 34-28-1, 34-28-2, 34-28-3 of this Chapter, shall be entitled to claim a lien under this chapter unless that person shall have given the following notice to the owner, lessee or tenant, or owner of less than the fee simple in writing, by certified mail, return receipt requested, within ten (10) business days of commencing work or delivery of materials for construction, erection, alteration or repair as set forth in this chapter. The failure of such person contracting directly to give such notice shall not affect the right of any other person performing work or furnishing materials of claiming a lien pursuant to this chapter, provided that the procedures set forth in this chapter are followed. However, such person failing to file such notice shall indemnify and hold harmless any owner, lessee or tenant, or owner of less than the fee simple from any payment or costs incurred on account of any liens claims by those not in privity with them, unless such owner, lessee or tenant, or owner of less that the fee simple shall not have paid such person. To: Insert name of owner, lessee or tenant, or owner of less than the fee simple. The undersigned is about to perform work and/or furnish materials for the construction, erection, alterations or repair upon the land at (INSERT ADDRESS) under contract with you. This is a notice that the undersigned and any other persons who provide labor and materials for the improvement under contract with the undersigned may file a mechanic’s lien upon the land in the event of nonpayment to them. It is your responsibility to assure yourself that those other persons under contract with the undersigned receive payment for their work performed and materials furnished for the construction, erection, alteration or repair upon the land. Every town clerk and every recorder of deeds, as the case may be, shall, on payment of a fee of eight dollars ($8.00) for each notice of intention, record the notices of intention provided for in § 34-28-4, whether in the form therein provided or not, in a book to be kept by him or her for that purpose, with the time and date when the notices of intention are received and recorded by him or her; he or she shall also maintain an alphabetical index of the owners and lessees or tenants mentioned in all notices of intention, so recorded, provided, however, that the town clerk may refuse for recording any notice of intention which fails to reference the name of the owner of record, or lessee, pursuant to § 34-28-4(b). The lien, under §§ 34-28-1, 34-28-2 or 34-28-3, of any architect or engineer, or of any immediate or mediate subcontractor thereto, for work done in connection with the construction, erection, alteration, or reparation, the result of which is used therein, shall be valid and enforceable under the provisions of this chapter if and only if a notice of intention provided for in § 34-28-4, is mailed and filed in accordance therewith by the architect, engineer, or such subcontractor thereto, the mailing and filing in the land evidence records to be before the later of two hundred (200) days of the performance of the work or ten (10) days after the actual and visible commencement, by excavation or otherwise, of the construction, erection, alteration or reparation. A notice of intention may be mailed and filed under § 34-28-4 against one or more contiguous parcels of land or parcels of land separated only by a public or private way, provided such parcels are owned, or occupied as lessee or tenant, by the same person or persons, and in such case the lien under the provisions of §§ 34-28-1, 34-28-2, 34-28-3 or 34-28-7 shall be against all of the parcels of land and all of the buildings, canals, turnpikes, railroads, or other improvements thereon in accordance with the tenor of those sections, or against the interest of the lessee or tenant therein, if the work is done or the materials are used on any of the parcels, or in any of the buildings, canals, turnpikes, railroads, or other improvements. A notice of lien recorded in the land evidence records pursuant to § 34-28-4 shall be effective for two hundred (200) days prior to the date of filing. A notice of lien shall be effective as to any retainage earned but not paid, for work furnished pursuant to § 34-28-1 et. seq., and said notice of lien shall be effective from commencement of said work. Retainage is a percentage of the total contract amount that is withheld by the owner from the general contractor and by the general contractor from the subcontractor until the entire job is completed and the project is accepted by the owner and by the general contractor, at which time the retainage due is paid. (a) Any and all liens under the provisions of § 34-28-1, 34-28-2, 34-28-3, or 34-28-7 regardless of the mailing and filing of a notice of intention under § 34-28-4 or any exemption therefrom, shall be void and wholly lost to any person claiming a lien under those sections, unless the person shall file a complaint to enforce the lien, described in § 34-28-13, in the superior court for the county in which is situated the land upon which the building, canal, turnpike, railroad, or other improvement is being or has been constructed, erected, altered, or repaired, and unless such person shall also file in the records of land evidence in the city or town in which such land is located a notice of lis pendens, described in § 34-28-11, the complaint to be filed on the same day as the notice of lis pendens, or within seven (7) days thereafter, and both the complaint and the notice of lis pendens to be filed within forty (40) days of the date of the recording of the notice of intention provided in § 34-28-4 and § 34-28-7. The lien of any person under § 34-28-1, 34-28-2, 34-28-3 or 34-28-7 who fails to file a complaint and notice of lis pendens under this section within the required forty (40) day period, shall be void and wholly lost as to work done or materials furnished prior to the two hundred (200) day period, regardless of the fact that the person may thereafter do other work or furnish other materials in the course of the same construction, erection, alteration, or reparation. (b) The power of sale contained in a mortgage on any real property subject to a lien created by this chapter shall not be effected by the filing of a notice of lien as provided in § 34-28-4 and § 34-28-7, provided, however, the power of sale shall be suspended by the filing of a complaint to enforce as provided in this section and the power of sale shall only be exercised thereafter in accordance with the provisions of § 34-28-16.1. (5) The name and address of the plaintiff and of his or her attorney, if any. All persons are hereby notified that the undersigned this day has filed or will file within seven (7) days hereafter, in the superior court for .......... County, a complaint to enforce a mechanics’ lien against (here insert name of the person against whom the complaint has been or will be filed and his or her relationship to the land), concerning land described as follows: (here insert description of land). The undersigned asserts that there is due to him or her the sum of (here insert the amount claimed) under the mechanics’ lien, which is based upon a notice of intention, under § 34-28-4 of the mechanics’ lien law, mailed to (here insert name and address of person to whom mailing was made) on (here insert date of mailing) and filed in the records of land evidence of the city or town of (here insert name of city or town) on (here insert date of filing of notice). The attorney for the undersigned is (here insert name and address of attorney. Every town clerk and every recorder of deeds, as the case may be, on payment of a fee as provided in § 34-13-7 for each notice of lis pendens, shall record the notices of lis pendens provided for in §§ 34-28-10 and 34-28-11, whether in the form therein provided or not, in the book provided for in § 9-4-9, and shall maintain as part of the index of the book an alphabetical index of the owners or lessees or tenants mentioned in all notices or lis pendens so recorded. The complaint to enforce a lien, filed under § 34-28-10, shall set forth the particulars of the account or demand for which the plaintiff claims a lien including the amount claimed, extras, payment made, the date or dates upon which work was done or materials furnished, shall recite the actions taken under this chapter by the plaintiff for the perfection of such lien, shall particularly describe the building, canal, turnpike, railroad, improvement, and land, and the estate and title in the improvement upon which the plaintiff claims a lien. It shall include specific dates of performance of the work, providing of materials, nature of each performance, and shall pray that the lien may be enforced against the improvement, and that the improvement may be sold to satisfy the account or demand and all other accounts and demands for which the improvement is liable and stands subject to liens under § 34-28-1, 34-28-2, 34-28-3 or 34-28-7; the complaint shall also name as defendants the owner of record and/or the landlord and lessee, if applicable, under § 34-28-2, and the complaint shall also contain a list of the names and addresses of all persons who have filed notices of intention under § 34-28-4 and a list of all persons who have any recorded title, claim, lease, mortgage, attachment or other lien or encumbrance (other than under § 34-28-1, 34-28-2, 34-28-3 or 34-28-7) with relation to, on or against the building, canal, turnpike, railroad, improvement, or land or any part thereof. Upon filing of the complaint, the clerk of the superior court shall, by one advertisement to be inserted in some public newspaper published in the city or town where the property against which the lien is claimed is located, but, if there shall be no public newspaper published in the city or town, then by one advertisement in some public newspaper published in the county where the property is located, which one advertisement shall, with the service of the citation set forth in § 35-28-15, notify all persons having a lien, by virtue of this chapter, or any title, claim, lease, mortgage, attachment, or other lien or encumbrance, or any unrecorded claim on all or any part of the same property, to respond to the court in accordance with § 34-28-15 and § 34-28-16 and make out their demands against the property; and the clerk shall issue a citation to each person whose name appears on the list, made a part of the complaint by § 34-28-13, of all persons who have any recorded title, claim, lease, mortgage, attachment, or other lien or encumbrance (other than under § 34-28-1, 34-28-2, 34-28-3, or § 34-28-7) on a day certain to respond in accordance with §§ 34-28-15 and 34-28-16 and show cause, if any they have, why the lien should not be allowed and enforced for the amount claimed. The plaintiff shall, at least ten (10) days before the return day of the citation mentioned in § 34-28-15, mail, postage prepaid, a copy of the advertisement provided for in this section (printed, typewritten, or otherwise reproduced) to each person who has filed a notice of intention under § 34-28-4. (a) Every citation issued under § 34-28-14 shall contain a copy of the complaint and shall be served on the parties by a sheriff or deputy sheriff or constable at least five (5) days before the return day of the citation, by leaving an attested copy at the last and usual place of abode of each of the persons to be cited or by reading the citation in their presence and hearing, if they reside in this state, otherwise by mailing the citation, by registered or certified mail, to the persons prepaid, addressed to their last known residence or place of business, and if no residence or place of business is known, no further service shall be necessary, other than service by advertisement provided for in § 34-28-14. (b) The citation noted in the aforesaid section shall be in a form established by the superior court. (2) In the case of persons who have any title, claim, lease, mortgage, attachment, or other lien or encumbrance (other than under § 34-28-1, 34-28-2, 34-28-3 or 34-28-7), file a claim setting forth the particulars thereof and praying for the relief and priority to which the person shall deem himself or herself entitled. (b) Nothing in this section shall, however, bar any claim for a lien under § 34-28-1, 34-28-2, 34-28-3 or 34-28-7, by any person for work done or materials furnished, provided the person complies with the requirements of this chapter. At any time after the filing of a petition under § 34-28-10, the holder of a mortgage having a priority over liens existing under § 34-28-1, 34-28-2, 34-28-3 or 34-28-7 may petition the court to exercise the power of sale contained in the mortgage and the court shall grant the petition to foreclose, after notice to all interested parties and hearing thereon, upon a showing by the mortgagee that the mortgage is valid, entitled to priority and is in default, except for a default arising from the filing of a petition to enforce pursuant to § 34-28-10. Once the complaint, described in § 34-28-13, and containing all claims pursuant to § 34-28-16 has been filed with the court, the proceedings shall continue pursuant to the rules of civil procedure, in a nonjury proceeding. (a) At any time after the recording of a notice of intention or after the filing of a complaint to enforce a lien under §§ 34-28-10 and 34-28-13, the owner or lessee or tenant of the land described in the notice or complaint may pay into the registry of the court in the county in which the land is located cash equal to the total amount of the notice of intention and the accounts and demands of all persons claiming liens therein under §§ 34-28-1, 34-28-2, 34-28-3 or 34-28-7, including costs, interest at the statutory rate and reasonable attorney’s fees of the lien holder, or may, in lieu of cash, deposit in the registry of the court the bond of a surety company licensed to do business in this state in the total amount including costs, interest at the statutory rate and reasonable attorney’s fees running to all persons claiming liens under §§ 34-28-10 and 34-28-13, and on proper proof of payment or deposit and on motion of the owner or lessee or tenant, any justice of the superior court shall enter ex parte an order discharging the notice of intention and lis pendens and dismissing the cause as to the owner or lessee or tenant and as to all persons having any title, claim, lease, mortgage, attachment or other lien or encumbrance (other than under §§ 34-28-1, 34-28-2, 34-28-3 or 34-28-7), and on the entry of the order, the building, canal, turnpike, railroad or other improvement and the land on which the improvement is being or has been constructed, erected, altered, or repaired shall be released and discharged from the notices of intentions and accounts and demands, but the rights of all persons having any title, claim, lease, mortgage, attachment or other lien or encumbrance (other than under §§ 34-28-1, 34-28-2, 34-28-3 or 34-28-7) shall be the same as if no notices of intention under § 34-28-4 had been mailed or filed and as if no complaint under §§ 34-28-10 and 34-28-13 had been filed. In the event that a payment is made into the registry of court in accordance with this section, any person, having a contract directly with the person making the payment, may be permitted, after notice to all parties under the complaint and after hearing in open court, to withdraw from the registry of court the sum of money due to him or her under the contract, provided that the person making the withdrawal first furnish a bond, payable to the clerk of court, with good and sufficient corporate surety, for the repayment of the amount, or as much thereof as may be necessary to satisfy claims thereinafter allowed by the court. (1) In the event that a notice of intention has been recorded, but no complaint filed, the person or other entity claiming the lien shall file the complaint against the surety within the time limits as noted in § 34-28-10. In the event of a cash deposit as noted in § 34-28-17, the complaint shall be brought against the clerk of the respective superior court for any deposit that is posted in the registry within the time limits as noted in § 34-28-10. (2) In the event that the complaint has been filed with the appropriate superior court, and after depositing cash or the bond of a surety company and discharging the notice of intention and lis pendens, and dismissing the cause as noted in this section, the lien plaintiff shall amend the complaint, to include the surety as defendant within sixty (60) days after the person or entity claiming the lien is given notice of the order in regard to the bond. In the event of a cash deposit as noted in § 34-28-17, the complaint shall be amended and brought against the clerk of the respective superior court for any cash deposit that is posted in the registry within sixty (60) days after the person or entity claiming the lien is given notice of this order in regard to the cash deposit. (c) The complaint filed against a surety, or the clerk of any respective superior court, pursuant to subsection (b) of this section need not comply with any procedural requirements of §§ 34-28-10, 34-28-11, 34-28-12, 34-28-14, or 34-28-15. (a) If any person in interest, including, but not limited to, an owner or contractor, claims: (1) that any person who has provided labor, materials or equipment or has agreed to provide funding, financing or payment for labor or materials or equipment refuses to continue to provide such funding, financing or payment for labor materials solely because of the filing or recording of a notice of intention; or (2) it appears from the notice of intention that the claimant has no valid lien by reason of the character of or the contract for the labor, materials or equipment and for which a lien is claimed; or (3) that a notice or other instrument has not been filed or recorded in accordance with the applicable provisions of § 34-28-1 et seq. ; or (4) that for any other reason a claimed lien is invalid by reason or failure to comply with the provisions of § 34-28-1 et seq., then in such event, such person may apply forthwith to the superior court for the county where the land lies for an order to show cause why the lien in question is invalid, or otherwise void, or the basis of the lien is without probability of a judgment rendered in favor of the lienor. A mortgage holder or servicer is not a necessary party under this section and shall not be named as a party in any such application or order of notice. (b) An order of notice to appear and show cause why the relief demanded in the complaint should not be granted shall be served upon the necessary parties no later than one week prior to the date of the scheduled hearing. If the necessary parties cannot be found, such service may be made as the court shall direct. The application shall be made upon a verified complaint accompanied by other written proof of facts upon which the application is made. Upon granting or denying the application, the court shall enter an order or judgment as applicable on the matter involved. Nothing herein shall affect the validity of, or otherwise modify or alter, the mortgage contract nor otherwise affect, alter or modify the mortgage holder’s rights under § 34-28-16.1. If more than one complaint under §§ 34-28-10 and 34-28-13 are filed against the same or any part of the same property, like proceedings shall be had on each, and each plaintiff shall give, upon motion of any person interested in the complaint made at any time, surety for costs, unless he or she is an inhabitant of the state; but all such complaints against the same or any part of the same property shall be consolidated after the returns of the citations, and shall proceed as one. The costs of the proceedings shall in every instance be within the discretion of the court as between any of the parties. Costs shall include legal interest, costs of advertising, and all other reasonable expenses of proceeding with the enforcement of the action. The court, in its discretion, may also allow for the award of attorneys’ fees to the prevailing party. Every defendant to any complaint and every person claiming to have a lien under § 34-28-1, 34-28-2 or 34-28-3 on the property described therein or on any part thereof, and every person claiming an interest therein by title, claim, lease, mortgage, attachment, or other lien or encumbrance, may contest the right of the plaintiff and of all others claiming a lien under this chapter to the property or any part thereof to any lien, as well as the amount of the claim. The court shall, upon motion made by the plaintiff, defendant, or any other person, party to the proceedings, claiming to have a lien on the property or any part thereof under § 34-28-1, 34-28-2, 34-28-3 or 34-28-7, had any claim against the property at the time of filing the complaint, or on becoming a party to the proceedings, the court shall, by itself or by a master to be appointed by it for that purpose, proceed to ascertain the exact nature and amount of each claim on the property or any part thereof, made by or belonging to any party to the proceedings, the amount of which to be allowed and paid shall be computed on the basis of the value of the property prior to the construction, erection, alteration, or reparation which is the subject matter of the complaint, and the order in which, in accordance with § 34-28-25, they should be paid, and, in the event no payment has been made into the registry of the court as provided in § 34-28-17, how much of the property, and especially how much, if any, and what portions of land under and adjoining the same, subject to sale by the provisions of this chapter, should be sold to satisfy the claims; and thereupon the court shall decree the property or some part of it, or the interest of the person defendant in the property or some part of it at the time the lien accrued, to be sold by and under the direction of a master to be appointed for that purpose, with instructions, restrictions, and conditions as it shall give in the premises, and the master shall make the sale in accordance with the instructions, restrictions and conditions, free and clear of all titles, claims, leases, mortgages, attachments, or other liens or encumbrances (including all liens under § 34-28-1, 34-28-2, 34-28-3 or 34-28-7 and all rights of dower and curtesy), except of persons who have rights which are excepted in § 34-28-16 from being void and wholly lost unless an appearance and account and demand or claim is filed in accordance therewith. In every decree of sale the court shall prescribe the notice that shall be given of the sale, and shall also give therein instructions and particular directions as each case may require, and upon application to the court, at any time, further instructions and directions may be given from time to time in relation thereto. The proceeds of the sale, after payment of the master’s fees, costs and incidental charges as shall be allowed by the court, shall be applied by the master, according to his or her instructions from the court, to the payment of the claims as marshaled and ascertained, and the balance, if any, which shall remain after payment thereof, shall be paid over by the master to the owner or the lessee or tenant of the property, as the case may be. The court may, in its discretion, require of the master bond or bonds with surety or sureties in such sum and to the person or persons as it may direct, securing the faithful application of the proceeds of sale, and may from time to time remove the master on account of any noncompliance with its order or decree, and appoint a new master in his or her stead. (1) Except as provided in subdivision (a)(3), as between persons having valid liens under this chapter, all of the lien holders shall share pro rata in the distribution of funds received by deposit under § 34-28-17 or of the proceeds of any sale under § 34-28-21, based on the amount of their claim plus their additional expenses of filing and advertising, if any. (2) Except as provided in subdivision (1), the priority of persons mailing and filing notices of intention under § 34-28-4 shall date from the date of the filing; the lien of the persons shall be senior to any subsequently recorded title, claim, lease, mortgage, attachment, or other lien or encumbrance (other than under § 34-28-1, 34-28-2, 34-28-3 or 34-28-7), and the lien of such persons shall be junior to any prior recorded title, claim, lease, mortgage, attachment, or other lien or encumbrance (other than under § 34-28-1, 34-28-2, 34-28-3 or 34-28-7). Any person having an existing lien under § 34-28-1, 34-28-2, 34-28-3 or 34-28-7 subject to any prior recorded mortgage, attachment, or other lien or encumbrance may pay off the prior mortgage, attachment, or other lien or encumbrance and shall be subrogated to all of the rights of the holder of the prior mortgage, attachment, or other lien or encumbrance. (3) In the event that there shall be recorded any title, claim, lease, mortgage, attachment, or other lien or encumbrance (other than under § 34-28-1, 34-28-2, 34-28-3 or 34-28-7) junior to any liens under § 34-28-1, 34-28-2, 34-28-3 or 34-28-7 in accordance with subdivision (2) and senior to other liens, then the liens under § 34-28-1, 34-28-2, 34-28-3 or 34-28-7 senior to the title, claim, lease, mortgage, attachment, or other lien or encumbrance shall be separated from the liens junior to the lien or encumbrance, and the senior liens shall be senior to the title, claim, lease, mortgage, attachment, or other lien or encumbrance, and the junior liens shall be junior thereto. (b) Priority between persons whose claims are not specifically provided for in this section shall be determined by the court or master in accordance with equity and good conscience. Any subordination agreement or release, bearing the signature of any person with authority to sign the agreement or release, or of the person who is designated in a notice of intention under § 34-28-4 as the person whose signature will bind the person filing the notice, which purports to subordinate or release any lien under § 34-28-1, 34-28-2, 34-28-3 or 34-28-7 whether for work done or materials furnished prior to the agreement or release, or thereafter, or both, notwithstanding the fact that no consideration is given therefor, shall be enforceable according to its terms, by any other person who has changed his or her position in any way in reliance upon the subordination agreement or release, whether the other person is otherwise obligated to make the change of position or not. Any person entitled to any lien under § 34-28-1, 34-28-2 or 34-28-3 who releases the lien before receiving payment for the work done or materials furnished forming the basis of the lien, shall be entitled to demand and receive direct payment therefor from the owner or lessee or tenant or other person as may be obligated or permitted to make the payment on behalf of the owner or lessee or tenant, provided that the person entitled to the lien first obtains the written consent of all persons in line of privity between him or her and the owner or other person; on presentation of a proper demand for the payment, the owner or lessee or tenant or other person shall, if satisfied as to the amount thereof, make payment, on proper receipt therefor, and credit shall be given therefor by all persons in line of privity between the owner or other person and the person releasing the lien. No person in the line of privity referred to in § 34-28-27 shall unreasonably withhold his or her written consent to a direct payment, nor shall any owner or lessee or tenant or other person referred to in § 34-28-27 unreasonably withhold a direct payment, and, if the person or owner or lessee or tenant or other person shall unreasonably withhold consent therefor or payment thereof, he or she shall be liable for any damages as may accrue as the natural and probable consequences thereof. To: (here insert name of owner or lessee or tenant, or of other person as may be obligated or permitted to make payments on behalf of the owner or lessee or tenant). (Here insert a general description of the work done or materials furnished, with amounts and dates the work was performed). (Here insert the steps taken to perfect the lien under this chapter). (Here insert names of all persons in line of privity). Each of the persons has endorsed his or her approval to this demand. Wherefore, the undersigned demands payment from you of the sum of (here insert amount). If any bond is given to secure payment for work done or materials furnished on account of the construction, erection, alteration, or reparation of any building, canal, turnpike, railroad, or other improvement or on account of any contract between the owner or lessee or tenant of the land on which the improvement is or shall be constructed, erected, altered, or repaired and any other person, the bond shall enure to the benefit of any person who does any work in the construction, erection, alteration, or reparation thereof, or who furnishes any materials used for that purpose, and the person doing the work or furnishing the materials may bring suit in his or her own name on the bond against any party thereto, notwithstanding the fact that no notice of intention under § 34-28-4 has been mailed or filed, and, further, notwithstanding the fact that he or she is not a party to the bond or to the contract between the owner or lessee or tenant and other person, and, further, notwithstanding the fact that he or she did not know of or rely on the bond or give any notice to the surety on the bond, and further, notwithstanding the fact that he or she did work or furnished materials for use on any subcontract, mediate or immediate, to such contract between the owner or lessee or tenant and the other person. No lien under § 34-28-1, 34-28-2 or 34-28-3 shall attach to any building, canal, turnpike, railroad, or other improvement, if the improvement is being constructed, erected, altered, or repaired by or for the state, or any city or town, or any subdivision or agency thereof, or to any land upon which the improvement exists, if the land is owned by the state or any city or town, or any subdivision or agency thereof, but the provisions of § 34-28-30 shall apply to buildings, canals, turnpikes, railroads, or other improvements being so constructed, erected, altered, or repaired. Whenever any such building, canal, turnpike, railroad, or other improvement shall be subject to sale under this chapter, from and after the filing of any complaint under §§ 34-28-10 and 34-28-13, any contractor who shall not have fully completed his or her contract in relation to the erection, construction, alteration, or reparation thereof, shall thereafter be excused from completing the contract, unless unreasonable conduct by the contractor has contributed materially to the facts giving rise to the filing of the complaint (in which case the person contracting with the contractor may at his or her option excuse the contractor), but the excuse from completing the contract shall terminate if and when the building, canal, turnpike, railroad, or other improvement and the land on which the improvement exists, shall be released and discharged under the provisions of § 34-28-17, unless unreasonable conduct by the owner or lessee or tenant has contributed materially to the facts giving rise to the filing of the complaint. This chapter is intended to afford a liberal remedy to all who have contributed labor, material, or equipment towards adding to the value of property to which the lien attaches and should be construed accordingly. Except as otherwise specified, nothing in this chapter shall be construed to limit the right of any person, whether he or she have a valid lien hereunder or not, to remedies otherwise available to him or her under law; and the rights, if any, of any person who has filed his or her account and demand or claim under § 34-28-16 for any deficiency, or the rights, if any, of any person who has failed to file his or her account and demand or claim thereunder, against any other person (rather than against the property which is the subject matter of any complaint under this chapter) shall not be impaired by the provisions of this chapter. In the event that there is a conflict as to procedures between § 34-28-1 et seq. and the rules of civil procedure, then the procedures noted in § 34-28-1 et seq. shall prevail. (a) “Construction, erection, alteration or reparation” and “constructed, erected, altered or repaired,” as used in this chapter, means excavation and demolition preparatory to actual construction, erection, alteration, or reparation, except where used in the phrase “actual and visible commencement, by excavation or otherwise, of such construction, erection, alteration or reparation,” in §§ 34-28-7 and 34-28-10, which phrase shall be construed to include the excavation or otherwise, but not demolition. (b) “Mortgage” as used in this chapter means construction mortgages, so called, which are given to secure the payment of a sum certain which is to be advanced at stated times or intervals. (c) “Person” as used in this chapter means corporations, partnerships, or other organizations or entities, except that the words “individual person” means only a natural person. Whenever any description of real estate is required under the provisions of this chapter, it shall be deemed sufficient to describe the real estate by metes and bounds description and street address, or by recitation of the taxing authority’s assessor’s plat and lot designation and street address, or by recitation of the book and page of mortgage and street address. If any part or parts of this chapter shall be held to be unconstitutional, that unconstitutionality shall not affect the validity of the remaining parts of this chapter. The general assembly hereby declares that it would have enacted the remaining parts of this chapter if it had known that the part or parts thereof would be declared unconstitutional.